Cloud computing giant Salesforce.com has acquired social media monitoring company Radian6 for approximately $276 million in cash and $50 million in stock, net of cash. In addition, approximately $10 million in stock and $4 million in cash will be issued to Radian6’s founders (subject to vesting conditions over two years). Radian6 helps clients like Dell, GE, Kodak and UPS monitor, analyze and engage in ‘hundreds of millions’ of social media conversations. Salesforce argues that the acquisition of the company will enable it to enhance all of its products, including Sales Cloud, Service Cloud, Chatter and Force.com. 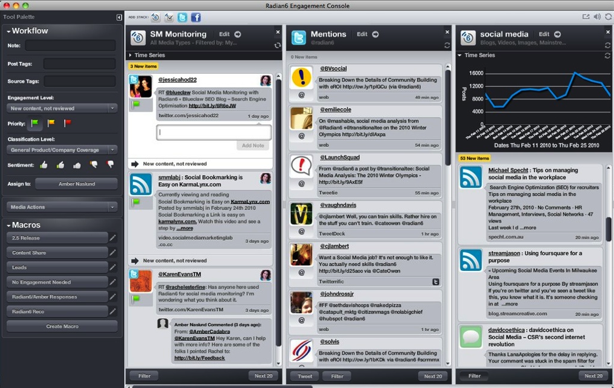 With Radian6, salesforce.com is gaining the technology and market leader in social media monitoring. We see this as a huge opportunity. Not only will this acquisition accelerate our growth, it will extend the value of all of our offerings. Founded in 2006, Radian6 helps companies monitor the social web (Facebook, Twitter, blogs, YouTube, forums and so on) in order to provide actionable insights in real-time and thus enable its clients to effectively join conversations with customers and prospects. The company just made an acquisition of its own, snapping up one of its resellers, 6Consulting, to establish a presence in the UK. Salesforce expects the transaction to close in its fiscal second quarter ending July 31, 2011, subject to customary closing conditions.